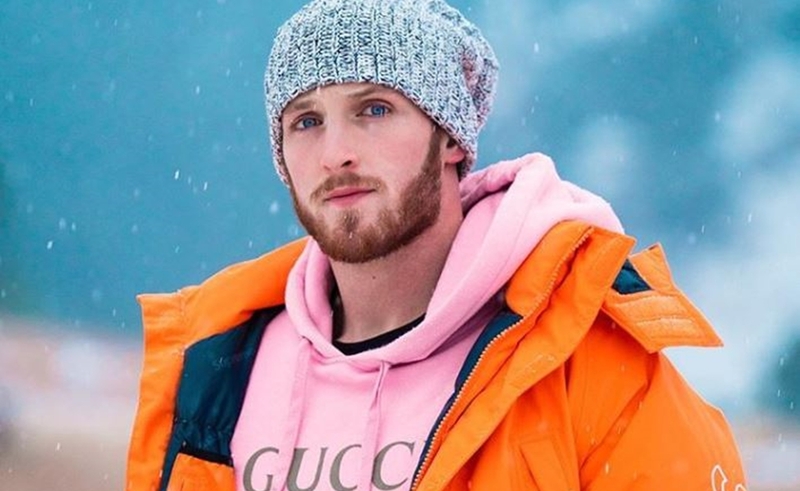 Amid a career comeback following January’s suicide controversy, Logan Paul is once again making headlines for a dubious admission: the 23-year-old announced last week that he believes the earth is flat. But further evidence points to the fact that Paul’s proclamation was merely an attempt to troll — and a potentially hilarious one at that. Paul attended the second annual Flat Earth International Conference in Denver, Colorado, where conspiracy theorists apparently gather to discuss “the true scientific inquiry of the created earth,” according to the event’s website. Interestingly, The Daily Beast reports that the Flat Earth community has seen a resurgence on YouTube in recent years, despite the platform’s efforts to debunk conspiratorial content. “I consider myself a man of truth, someone who hates being ignorant. I guess I’m not ashamed to say my name is Logan Paul and I think I’m coming out of the Flat Earth closet,” Paul said onstage, before dropping the mic (see below). While convention organizers were convinced of Paul’s sincerity, The Daily Beast interviewed him prior to the appearance, where he practiced a similar version of the above speech — and struggled to get through it amid a case of the giggles. The Daily Beast also notes that Paul was filming the appearance for his own YouTube channel, where he frequently shares public pranks and social experiments. “Don’t you think if the earth was round our shoes would have a curve in them?” he asked The Daily Beast reporter with mocking incredulity. Regardless of Paul’s motives, it turns out that YouTube has served as a life-giving hub for actual Flat Earthers. The community started to gather momentum three years ago, when several of the movement’s leading voices launched channels, according to The Daily Beast. One speaker at the conference, Joshua Swift (3,000 subscribers), said he wasn’t even searching for Flat Earth videos, but had discovered the movement via recommended videos while watching YouTube on autoplay.